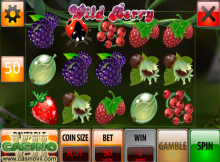 The rules of Wild Berry are not too simple, but not too complex. 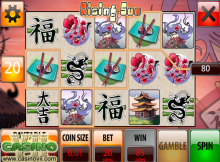 It might take you a dozen spins or so to figure out what is what. 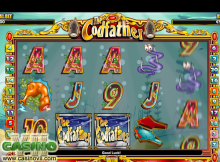 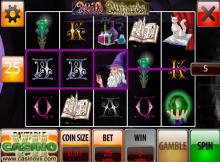 Every slot game will give you an opportunity to win. 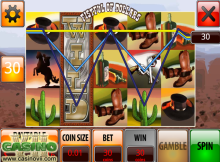 The main difference between slot game payouts is how much you can potentially win (Big Wins) versus how often you will usually win (Frequent Wins). 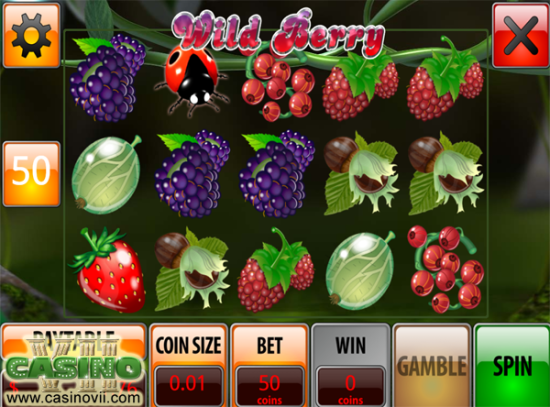 Wild Berry has a relatively equal balance between Big Wins and Frequent Wins. 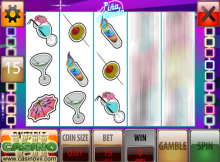 Wild Berry is a 25 line mobile slot by BetonSoft. 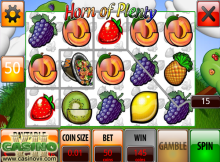 This fruits-themed game has some exciting features. 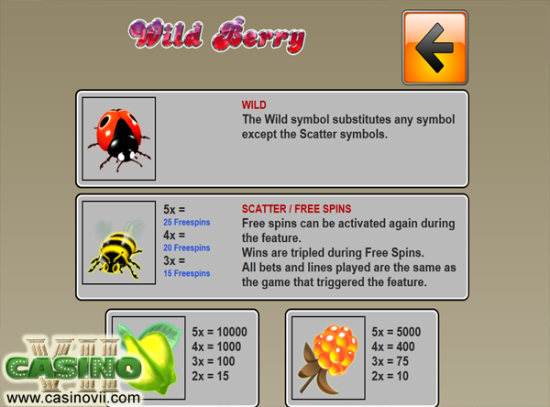 The bonus features for Wild Berry include wild symbols, free spins mode and scatter symbols.